Cloud technology is one of the best enterprise solutions today as it provides reliable data storage, real-time connectivity, improved cyber security, and a cost-effective IT system. However, ineffective planning, implementation, and runtime checking would lead to compromising situations that would leave your system underperforming and vulnerable to threats. We offer cloud technology services in response to security concerns and efficiency concerns in cloud systems deployment. Powered by Microsoft Azure, Amazon Web Services, CloudSigma, Air Watch, Sales Force, IBM Cloud, Citrix CloudPlatform, and VMware, we assure effective implementation and real-time efficiency of enterprise’s cloud technology according to the functional requirements of the enterprise. Each cloud technology system fully cooperates and complies with global security standards and overseen by our certified security experts, who will utilize security protocols to ensure business information and user data are protected from intrusions and leaks. Data transfers are encrypted through VPN tunnels and HTTPS secured with two-factor authentication. Possible data leaks from mobile devices are effectively handled by our security professionals, which reinforces IT policies that are critical in revolutionizing organizational productivity and mobility. We offer identity rights management feature that allows user access to thousands of web apps, including Facebook, LinkedIn, and Software as a Service (SaaS) apps while maintaining security. We assure deployment of security features that determines access level based on a user’s geographical proximity and assessed risk level of their device. Implementing Amazon Web Services’ Identity and Access Management feature in particular allows you to secure access to various online services and resources for internal and external stakeholders. We assure key personnel can conveniently create and manage user groups with proper access rights whenever, wherever. Identity of users and other sensitive information are safe from malicious users and suspicious activities as one of our cloud technology solution offering is CloudSigma, a cloud platform integrated with secure cloud servers according to the users’ proximity. We ensure unintrusive security features of Microsoft Azure Premium Active Directory and app processing delays are minimal. The Microsoft Azure Premium Active Directory provides holistic security reports and audits, like the IP address of a suspicious login activity, to keep you updated on external threat levels and the current state of health of your device. Our experts allow mobile device management (MDM) and mobile application management (MAM) capabilities through the use of innovative cloud security features. Through our own security layer, employees are provided protected access to organizational data anywhere on any platform, maximizing business productivity. The productivity goals of BYOD policies are effectively achieved through VMware’s MDM and MAM features that allow employees to perform their tasks on devices they’re most productive on in a digital workspace. VMWare allows convenient single-sign on for users and allows them to work on their documents and files even while offline. Through VMware’s AirWatch and our secure and non-intrusive IT practices, enterprises will experience dramatic productivity increases without jeopardizing mobile security. We provide top-of-the-line mobile security through IBM Cloud’s Endpoint Security feature to ensure organizational data is safe from malicious activities and software. Our licensed professionals will work with key personnel in terms of automated file access control and restrictions. The IBM Endpoint Manager feature affords enterprises real-time tracking and control of vulnerable devices to quickly prevent leakage of sensitive data. Salesforce Trust employs a wide array of security standards that are globally certified like the Two-Factor Authentication, SMS Identity Confirmation, IP Restrictions, Password Strength Policies, and Security Sessions, ensuring user account information stored in the cloud is properly protected. Our licensed security professionals protect your data and your documents from illegal viewing and distribution by setting authorization policies that prevents unauthorized users from viewing and forwarding documents. We ensure your cloud technology systems and solutions complement with major mobile device platforms and any file type, ensuring complete productivity and mobility throughout the organization. Citrix’s Cloud Platform ensures the data in your files and documents are protected even if you’re in the midst of a data transferring process. Users are provided keys to ensure each file and document sent can only be viewable by the ones who have the required keys. Accidentally sharing files to the wrong group or individual or malicious attempts at leaking information are effectively suppressed due to the fact that recipients without the keys won’t be able to view or forward the file. 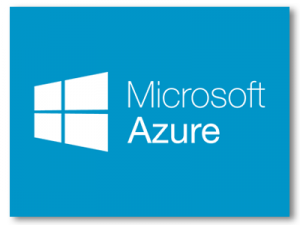 The Microsoft Azure Rights Management Suite can be deployed quickly in large enterprise environment and in full scale due to its extensive device compatibility. In computer operating systems, the RMS supports Windows 7 to 10 as well as Mac OS X with Mountain Lion as its minimum OS version. In mobile device operating systems, the RMS supports Windows Phone 8.1 and Windows 8 RT, Minimum version of iOS 7 for iPhone and iPad, and Ice Cream Sandwich(4.0.3) for Android devices. We leverage our expertise and certifications in information systems security assurance and auditing for thorough security assessment and comprehensive security risk identification in file transfer processes, assuring organizations of data and information protection whether they’re dealing with internal or external activities. Cloud Technology services provided by IT Gurus of Atlanta. Thank you, I'll be in touch with you within an hour.